​the creation of our story. 1000 Cranes Watercolor on handmade paper. Acts of Kindness Series. Do an act of kindness, email me about it at lespalmerartstudio@gmail.com or send it from my contact page. For $100. you will receive an original origami crane painting. Donations will be made to organizations that support kindness, understanding and love for one another. You can recommend an organization or choose one from the list. Ongoing - Personal Note: Watch for Updates. Past Event - Personal Note: Thank you to Kitty and John Mecham. Friends and Art lovers please join me at the opening. Past Event- Personal Note: As a past president and returning artist I am thrilled to once again help to "raise awareness and appreciation for the visual arts, to connect our artists and art patrons, and educate the community, and cultivating new patrons, regarding the arts." - the Guild's mission. I am proud to be part of this professional organization. 2018 will be the Guild's 26th year of bringing art to the people of North Carolina. Since I am not opening my studio for the Tour this year I am excited about visiting my fellow artists studios! Past Event -Personal Note: Thank you to Shannon Bueker, The Chatham Artists Guild and to The Carolina Brewery. Also thank you to Richard Bueker and Forrest Greenslade for their expertise and kindness in hanging the exhibit so beautifully. 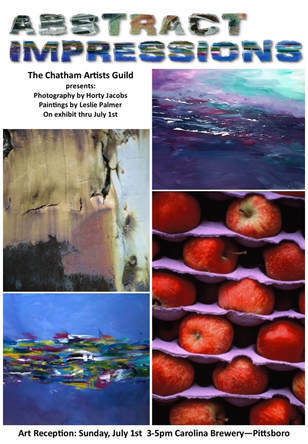 Looking forward to once again participating in Chatham Artist Guild events. Three artist present works representing three different creative approaches, Leslie Palmer- graphite drawings, Marijane Whiteman- graphite drawing and pastel and Matthew Leavitt -photography. Past Event- Personal Note: Thank You to Marijane Whiteman, The Gathering Place and to friends and neighbors who sent your kind comments. The North Carolina Arts Incubator will host a juried exhibit of work by Fearrington Artists in the PAF Gallery located at 223 N Chatham Ave, Siler City, NC. 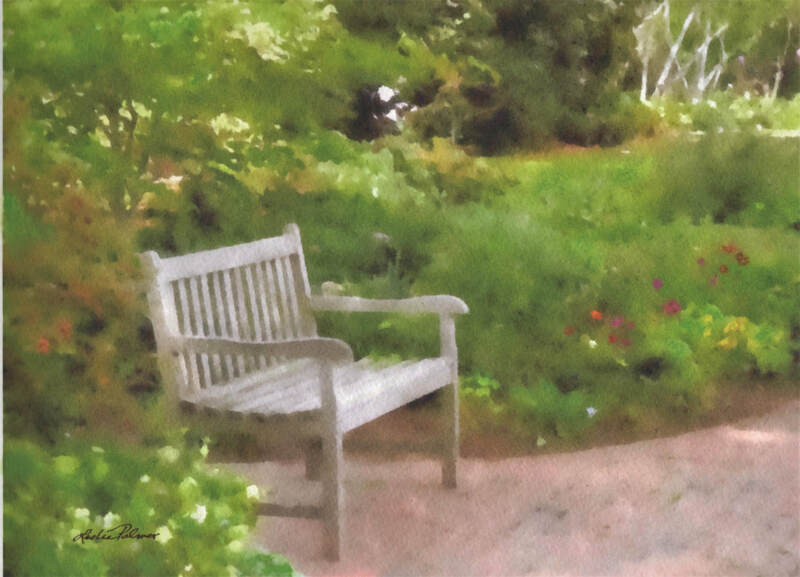 Artist Studios at Fearrington Village represents the full range of artistic experience, from those who have made art their lifetime career to newcomers exploring the inroads of their visual talents. Past Event- Personal Note: ASFV is always looking for opportunities to exhibit our art. If you know of a venue looking for a curated, juried exhibit please contact me. We even happily help hang, label and promote the exhibit. Past Event- Personal Note: Lots of fun. When is the last time you spent the day on a bridge overlooking a gently flowing river? Pure joy! ​Artist Studios at Fearrington Village welcomes visitors for our annual, free, self-guided tour of the artists’ studios. Eighteen artists - painters, sculptors, screen printer, jewelers, woodworkers, and fiber artists invite you to explore, meet the artists and purchase art. Brochures are available at more than 100 locations throughout Chatham, Orange, Durham, and Wake counties. For a list of locations, to view or download the brochure/map go to www.fearringtonartists.org. Past Event- Personal Note: Our "Celebrate Fearrington Artists Party” was a success! The artists had the opportunity to show and sell their artwork; invite friends and neighbors to visit their tables and/or studios, and welcome new Fearrington artists to our creative community. It was a time to mingle, talk about our art and see what the other artists have been working on. ASFV decided that this will be an annual celebration! October 20, 2017 – January 10, 2018. The collaboration partnership for artists in Chatham, Alamance, Orange, Lee and Moore Counties, ​juried exhibit. Past Event- Personal Note: A wonderful group exhibit and a fantastic reception. Praise for the judges and the organizers. Thank you, Galloway Ridge.